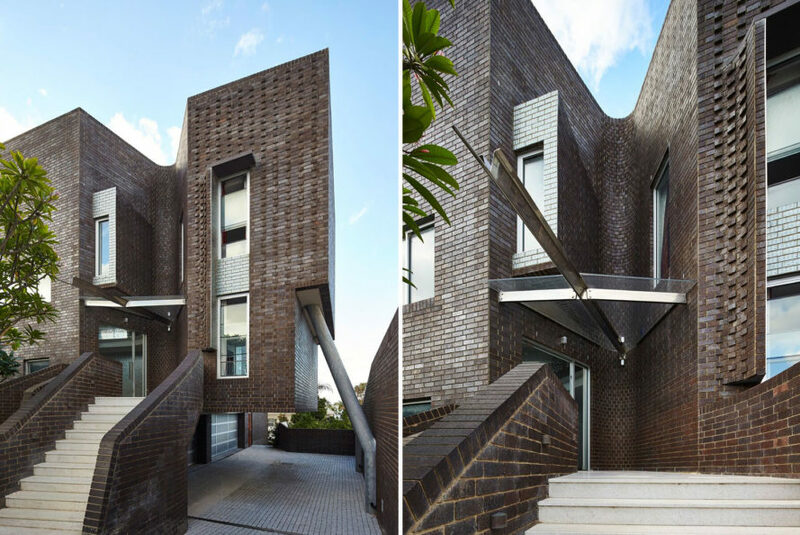 Studio Iredale Pedersen Hook wrapped this beautiful family home in Australia with one of mankind’s oldest and most humble building materials: bricks. 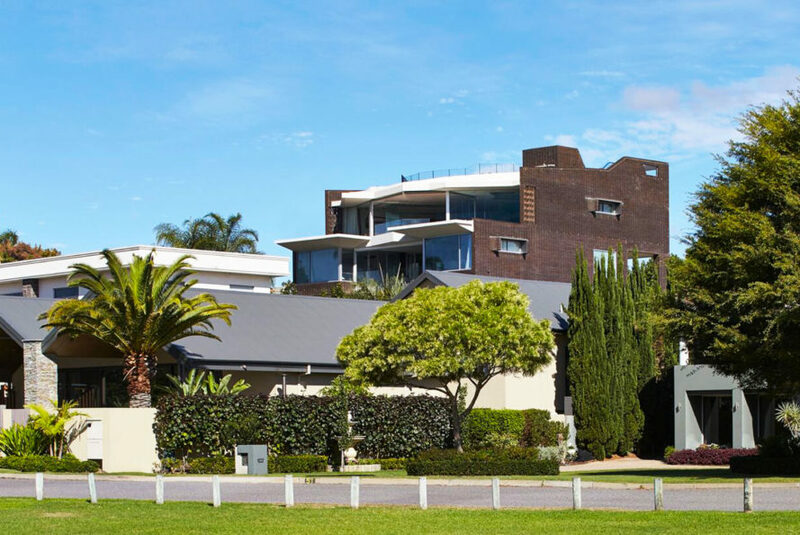 Located in Perth, the Applecross Residence has a dark glazed skin and a strong fluid body that connects it to the waters of the nearby Swan River. A duo of metallic legs on the side pump up geothermal heating and cooling from deep underground. 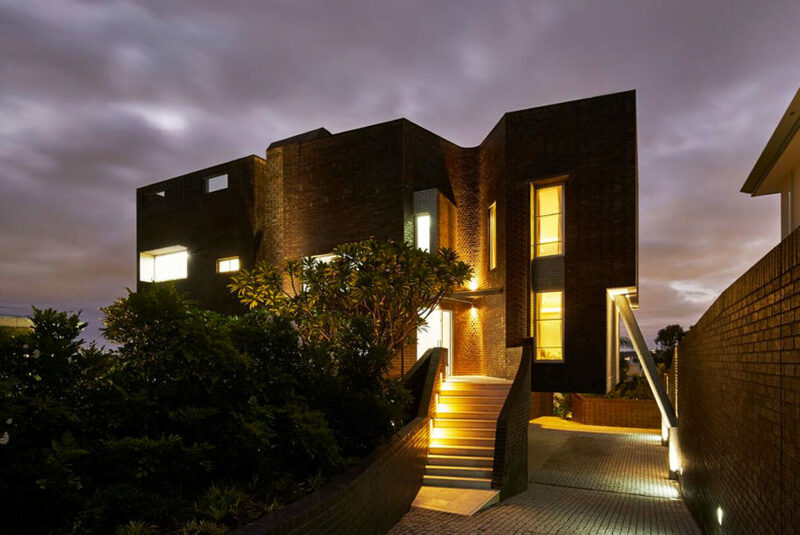 The Applecross Residence explores the potential of bricks throughout its five levels. The brickwork is interpreted in different ways, with glazed dark bricks placed alongside silver ones that reflect light and color into the house. A couple of thermal chimneys provide the house with free source of heating and cooling. The home is topped by a stunning roof terrace for enjoying al-fresco meals with beautiful views of the river and Perth. Angled brickwork creates elegant window shadings that discretely filter excess sunlight. One level of the house is designed as a separate apartment, allowing friends, family and other people to occupy the site. Studio Iredale Pedersen Hook wrapped a whole family home in one of earth's oldest and most humble materials, bricks. 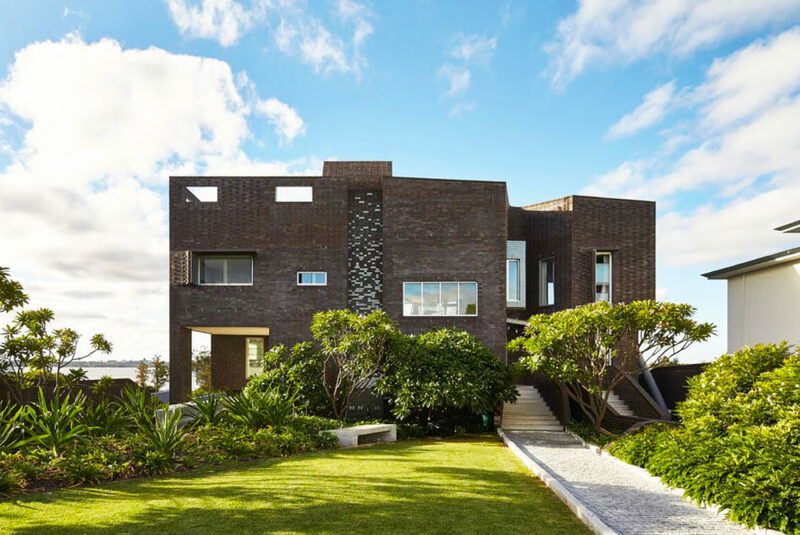 Located in Perth, Australia, the Applecross Residence has a dark glazed skin and a strong fluid body that connects it to the waters of nearby Swan River. A duo of metallic legs on the side aren't supporting the structure but pumping up geothermal heating and cooling from underground. 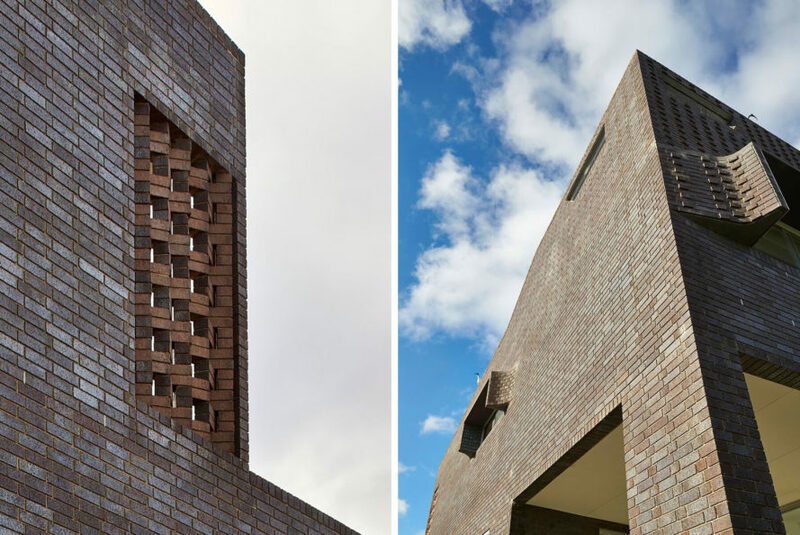 The Applecross Residence is an exploration on the potential of bricks . Brickwork include glazed dark bricks along silver ones. A couple of geothermal chimneys complete the striking entrance. Bricks are also used to filter excessive sunlight in a discreet way. 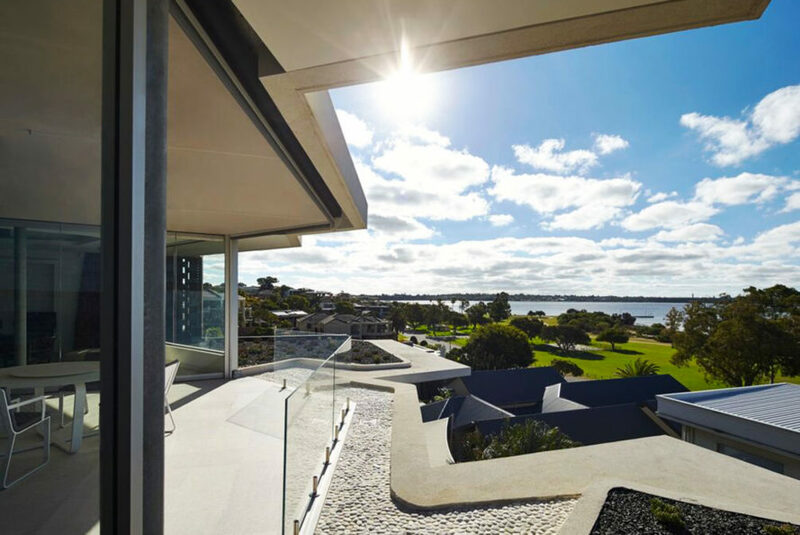 The home is topped by a terrace with amazing views out to Perth. 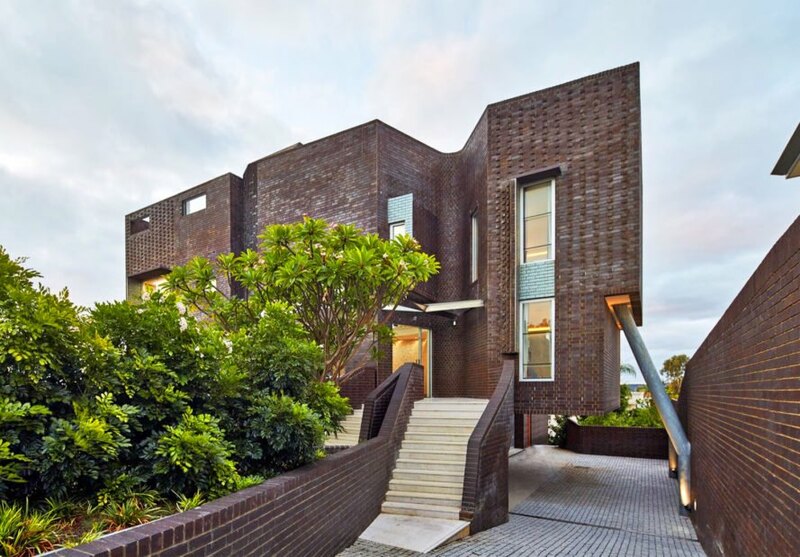 The Applecross Residence is this year's winner of Think Brick Awards Grand Prix, Australia. Studio Iredale Pedersen Hook wrapped this beautiful family home in Australia with one of mankind's oldest and most humble building materials: bricks. Located in Perth, the Applecross Residence has a dark glazed skin and a strong fluid body that connects it to the waters of the nearby Swan River. A duo of metallic legs on the side pump up geothermal heating and cooling from deep underground.